NeighborWorks America and its network ensures that individuals and families have access to the education, skills, resources and support needed to make sound decisions that allow them to achieve and sustain financial security. Financial education to share basic skills and knowledge. Financial counseling to resolve specific issues and challenges in the short term. Financial coaching to encourage behavior change and achieve positive and sustainable long-term outcomes. Our multi-faceted financial capability program is making strides in encouraging long-term shifts in attitudes and behaviors, raising awareness about financial capability across sectors, and making a positive, widespread impact on community development. We provide support to a network of more than 80 NeighborWorks organizations that offer financial capability services, including financial education, financial coaching, volunteer income tax assistance and individual development accounts. It’s the ability to navigate life’s events. It’s more than just setting financial goals...it’s actually building toward them. The NeighborWorks Center for Homeownership Education and Counseling (NCHEC) offers a curriculum for professionals interested in initiating or scaling up their work in the financial capability field. From beginning to advanced levels, our financial capability courses provide the skills needed to plan, deliver and evaluate effective financial capability services. We also offer a certification that allow participants to demonstrate their mastery of the subject matter. 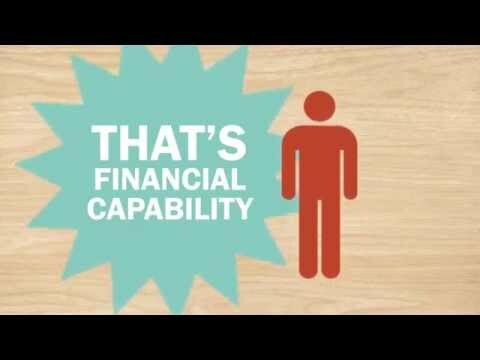 Our Success Measures financial capability tools are a suite of collaboratively designed and tested outcome measurement resources that allow tracking and comparison of the steps people take, as well as the strategies they employ, to manage their finances over time. Our unique platform, the Success Measures Data System (SMDS), allows organizations to use these tools and manage all phases of an evaluation online. Essential to the sustainability and growth of financial capability services, Success Measures can help you enhance program delivery and demonstrate impact that attracts funders. Learn more about creating economic self-sufficiency and long-term financial security by using the measurement tools, support, and technology offered by Success Measures.